He is not only concerned about the spiritual life of the pastor, but also with the very community of people that trains him, calls him, relates to him, and restores him if necessary. 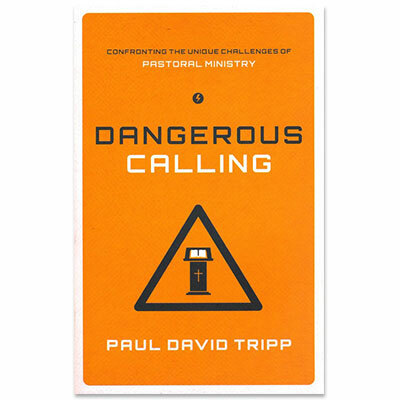 Dangerous Calling reveals the truth that the culture surrounding our pastors is spiritually unhealthy—an environment that actively undermines the wellbeing and efficacy of our church leaders and thus the entire church body. Paul David Tripp is the president of Paul Tripp Ministries, a nonprofit organization, whose mission statement is "Connecting the transforming power of Jesus Christ to everyday life." This mission leads Paul to weekly speaking engagements around the world. In addition to being a gifted communicator Paul is the Executive Director of the Center for Pastoral Life and Care in Fort Worth, Texas, and has taught at respected institutions worldwide. Paul has written twelve books on Christian Living that are read and distributed internationally, including Instruments in the Redeemer's Hands; War of Words; Broken Down House; and Whiter Than Snow;. He has been married for many years to Luella and they have four grown children. For more information and resources visit paultrippministries.org.